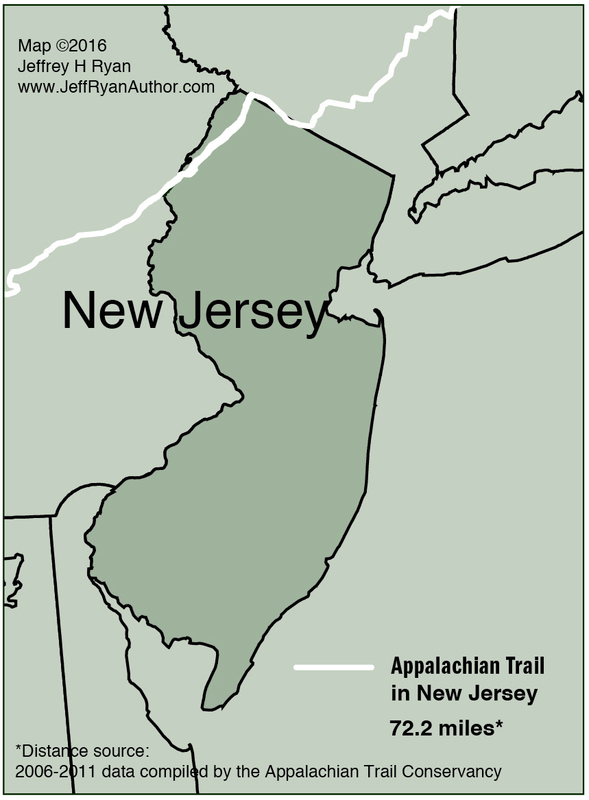 The Appalachian Trail in New Jersey presents one of the most interesting continuous geologic features of the entire trail. 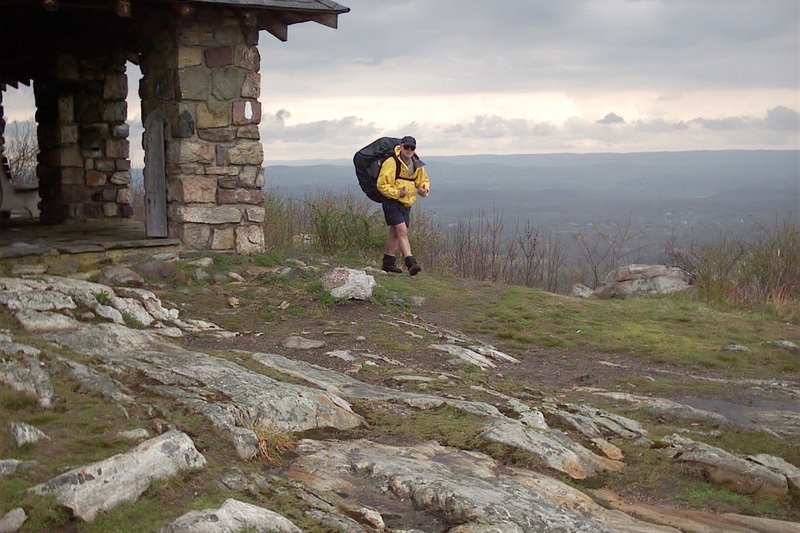 Kittatinny Mountain is a 40-plus mile ridge with several distinct summits stretching from High Point, New Jersey (1803’) to Wind Gap, some 15 miles into Pennsylvania. 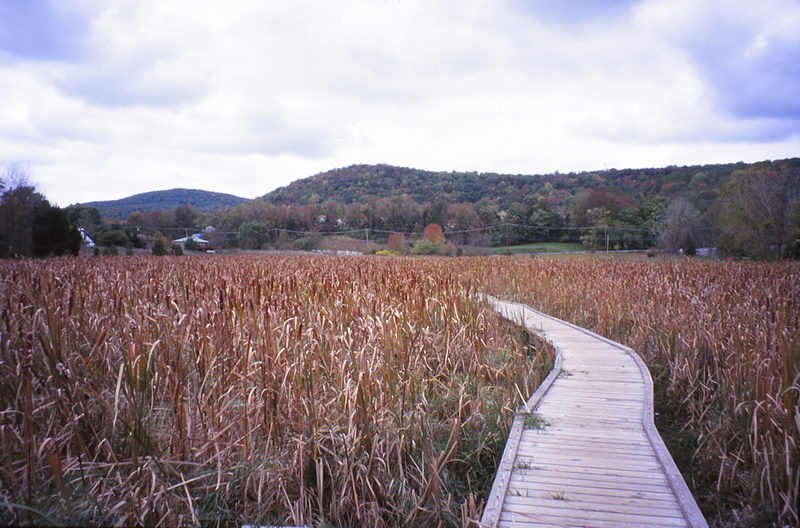 Not surprisingly, the name “Kittatinny” derives from a Lenape Native American word meaning “endless hill” or “great mountain”. The range was formed during three geologic episodes. The first (1,000 million years ago), formed peaks as high as today’s Rocky Mountains and trapped sedimentary Paleozoic rocks (including sandstone, shale and limestone) between large blocks of Precambrian rocks (mostly granite), formed by intense heat and compression. The resulting erosion by streams, wind, and glaciers left the nearly continuous and remarkably consistent in elevation mountain range that we see today. The only major breaks in the range occur at Culvers Gap and Delaware Water Gap. Both of these breaks showcase the power of water. While the range rose, the water continued to cut its way through. In the case of Delaware Water Gap, the Delaware River won. It still cuts through the gap to this day. Culver Gap tells a different story. Here the river successfully cut through the gap for a time but was then “captured” by the Flat Brook system on the west side of the range. The water stopped owing through the gap and this break in the range became known as a “wind gap”. Sunrise Mountain Picnic Shelter was built in the 1930s by the Civilian Conservation Corps. The views from the ridge (1650′) are far-flung, as is true with most places along this stretch. Pochuck Boardwalk Built for only $36,000 (thanks to an incredible number of donated work hours), the 1.5-mile-long Pochuck Boardwalk and 110-foot suspension bridge took 24 years to plan and seven years to build. In addition to getting the trail off busy area roads and providing a safer hiking experience, the boardwalk provides excellent wildlife viewing. Over 200 species of birds are known to frequent the marsh and it’s filled with endangered and threatened plants as well. I love this hike. You basically follow the same ridge with little change in elevation for 40-plus miles. The two things to be prepared for are potential lack of water and the fact that this area has one of the highest concentrations of bears in the eastern US. Please take the necessary precautions, including cooking and eating food away from lean-tos, tents or hammocks and storing food correctly. If you are interested in the history of the Appalachian Trail — how the trail came into existence in the first place and the powerful personalities that got it built — you may enjoy my book, Blazing Ahead: Benton MacKaye, Myron Avery and the Rivalry that Built the Appalachian Trail. *Based on 2006-2011 data compiled by the Appalachian Trail Conservancy.